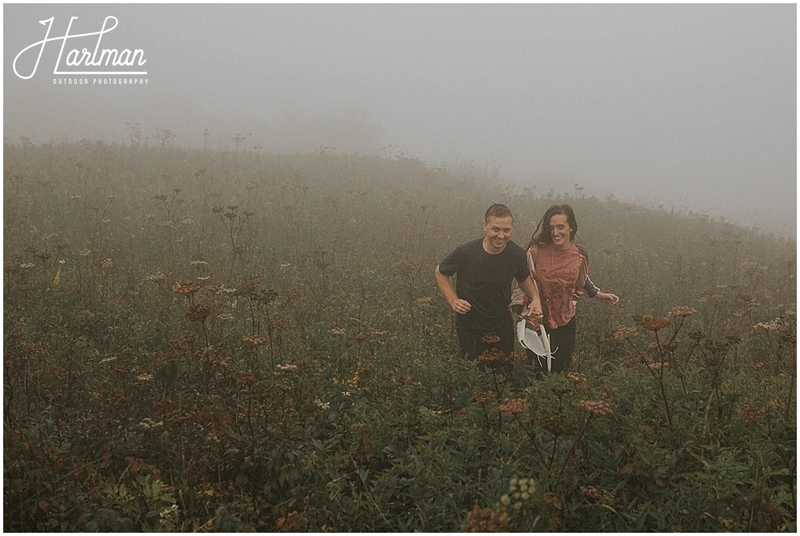 Josh and I first visited Black Balsam many years ago when we had just moved to North Carolina. 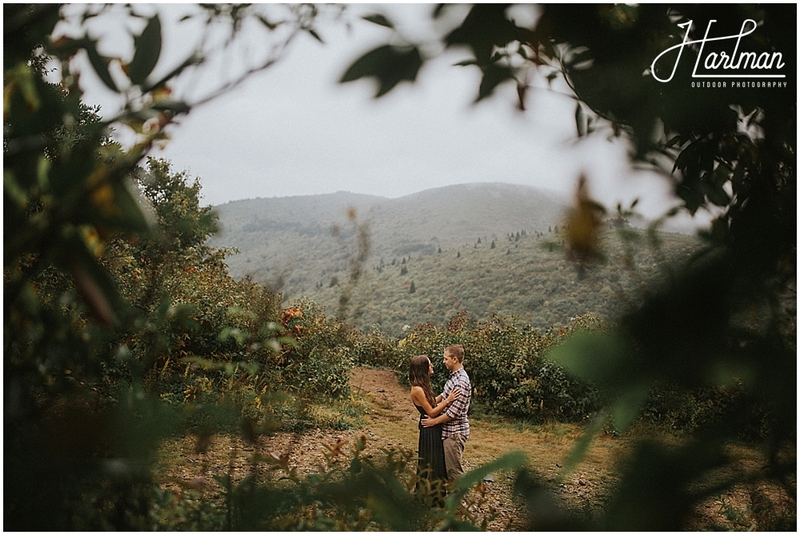 We organized a backpacking trip through the outdoors group that we ran and hiked from Black Balsam, through Shining Rock Wilderness, and up to Cold Mountain. 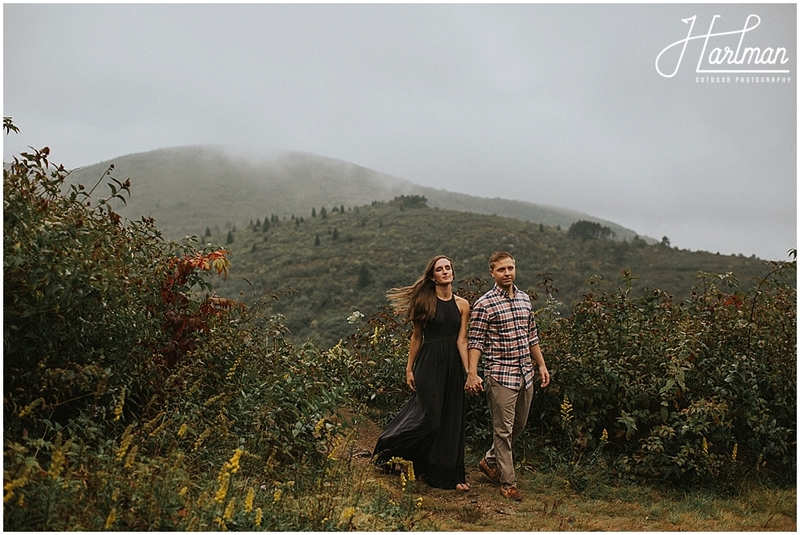 It was a fall trip and the colors and blue ridge mountain views were breathtaking. 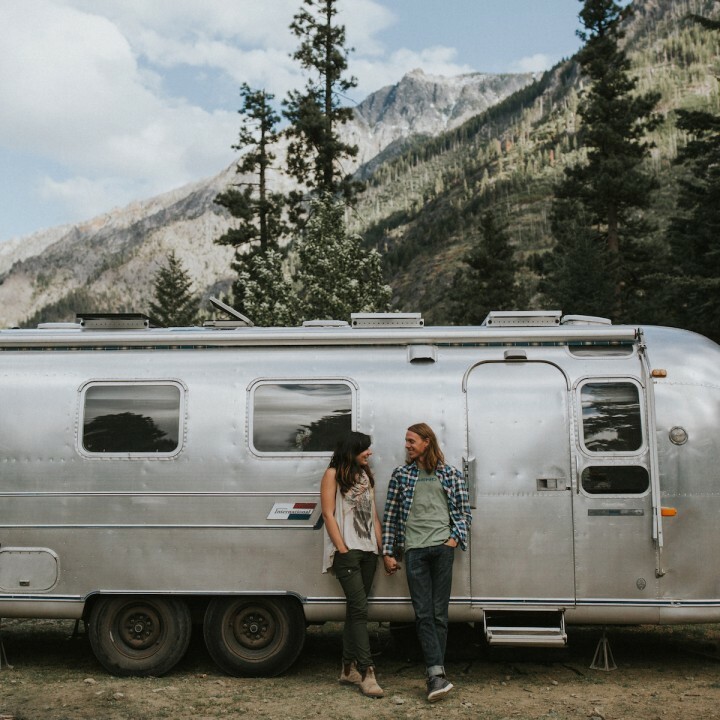 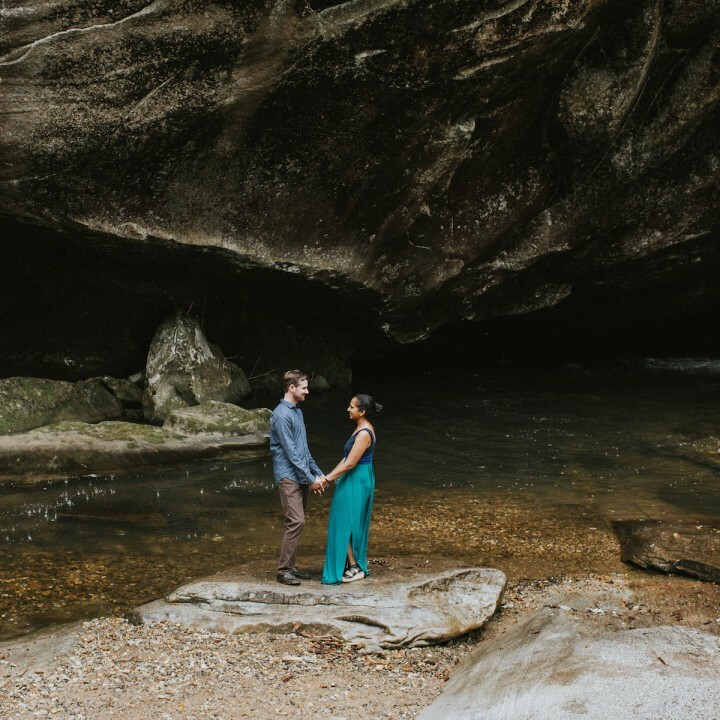 We love being able to take our couples back to the places we explored on our hiking and backpacking trips. 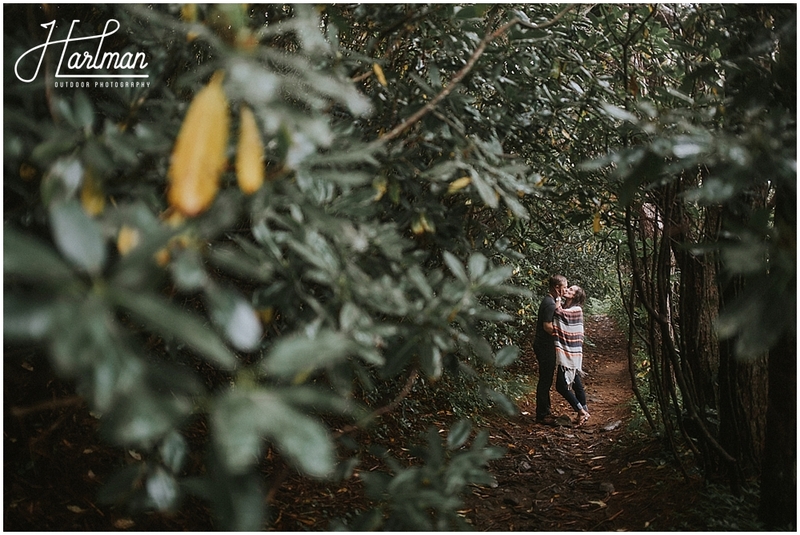 There are just so many unknown gems in North Carolina. 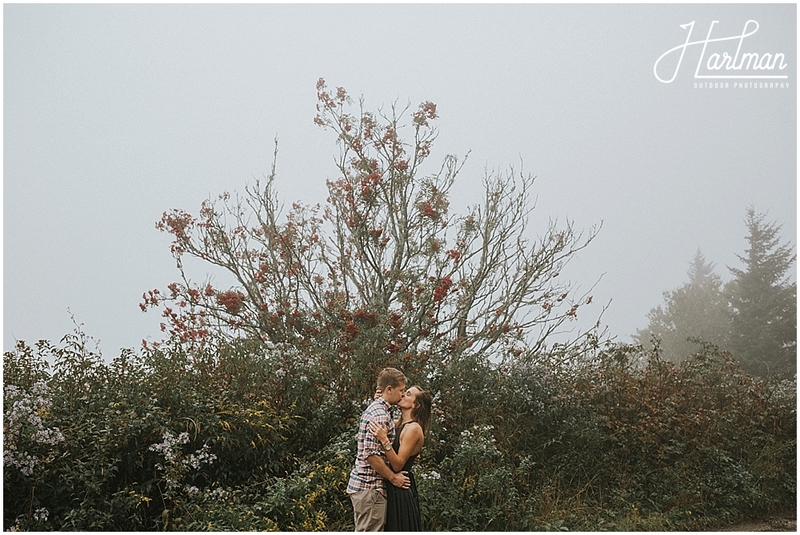 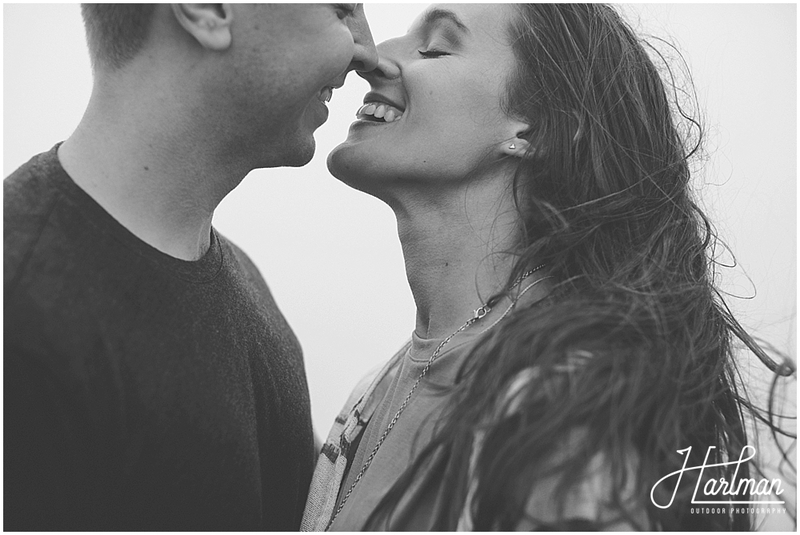 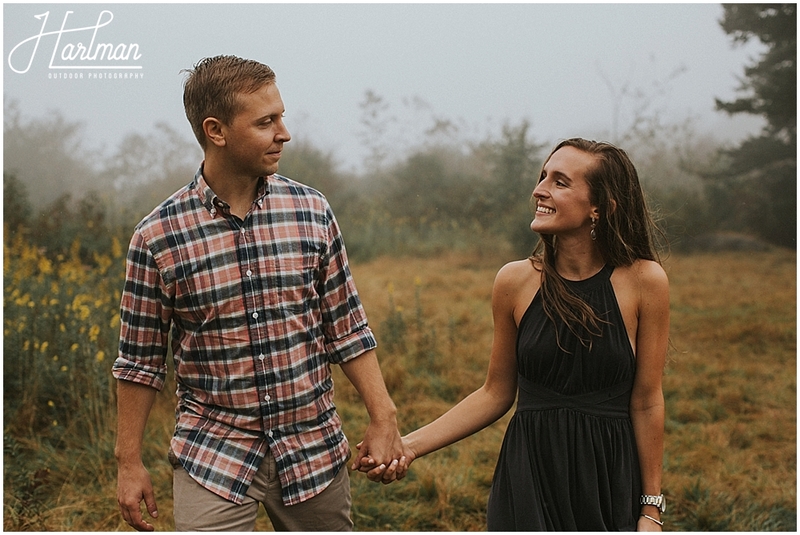 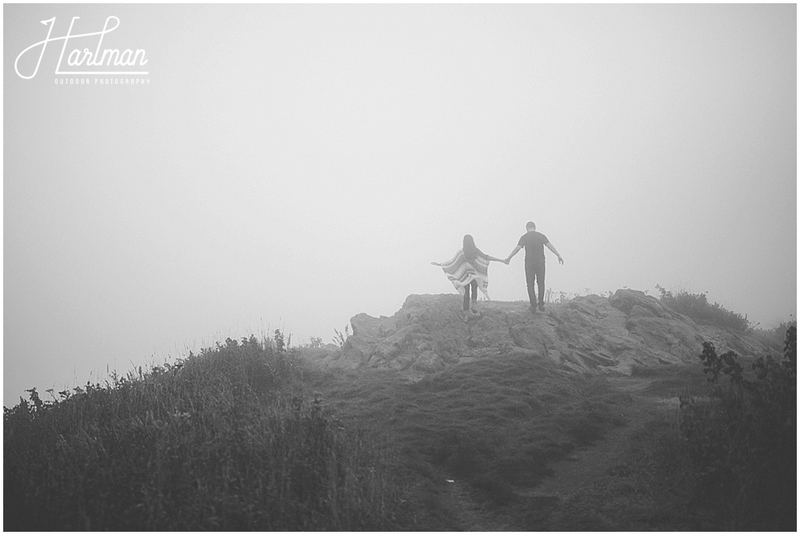 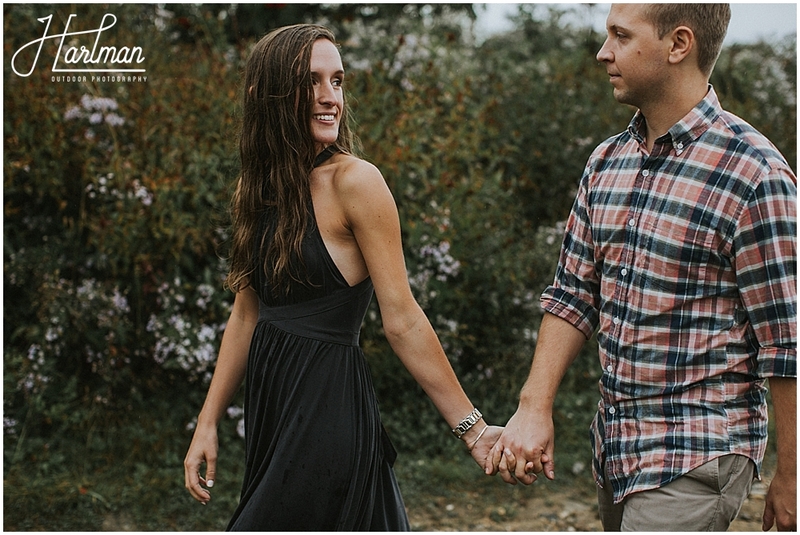 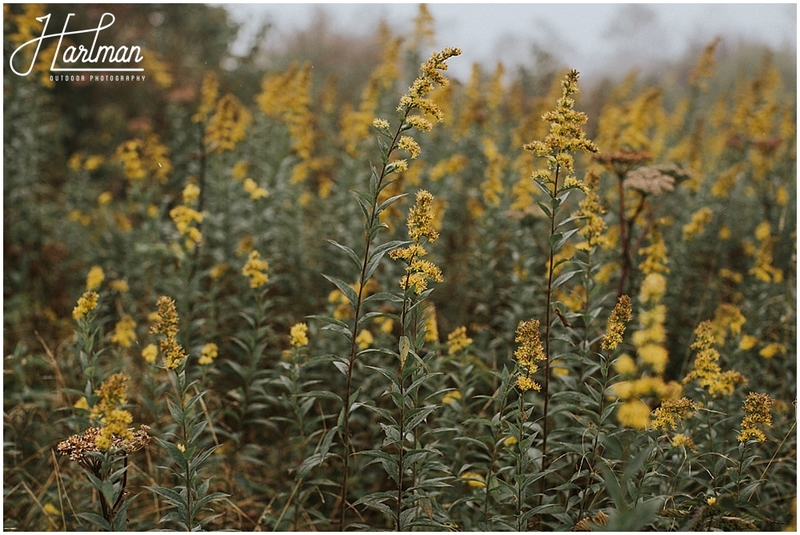 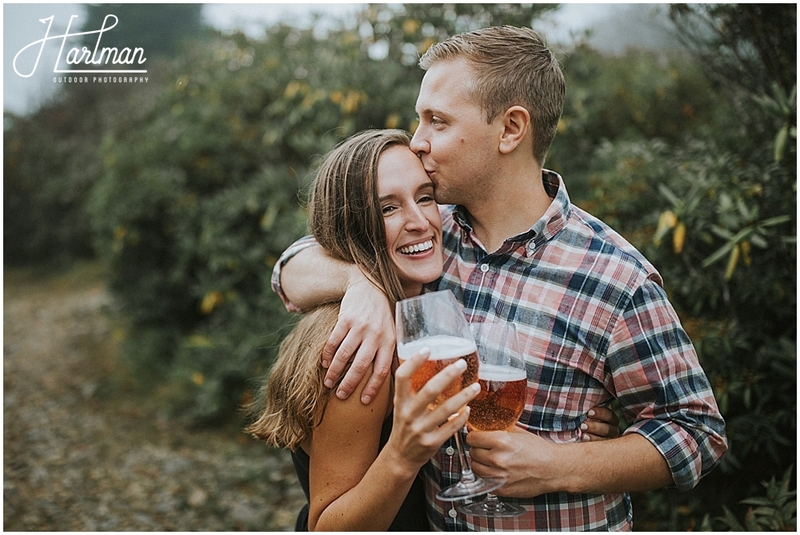 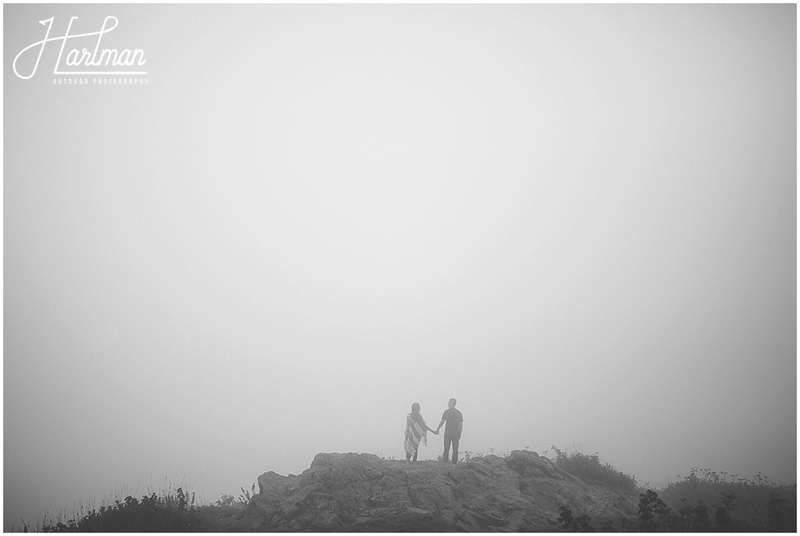 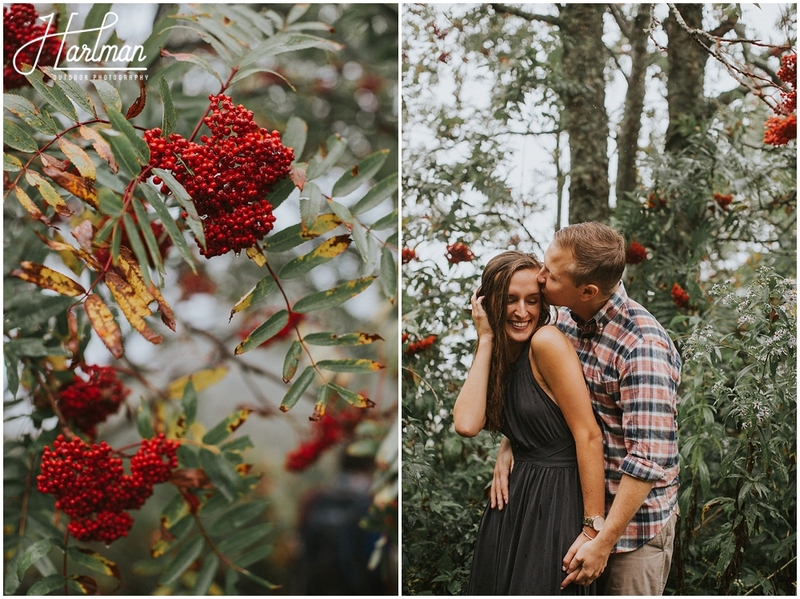 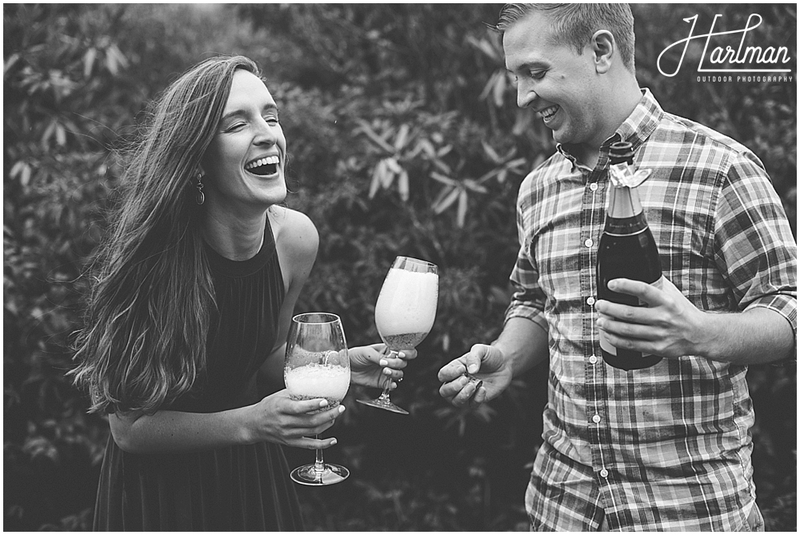 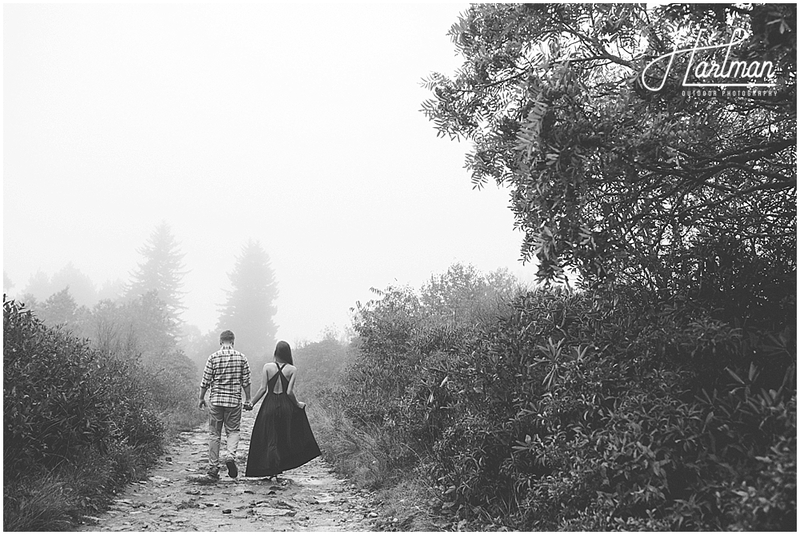 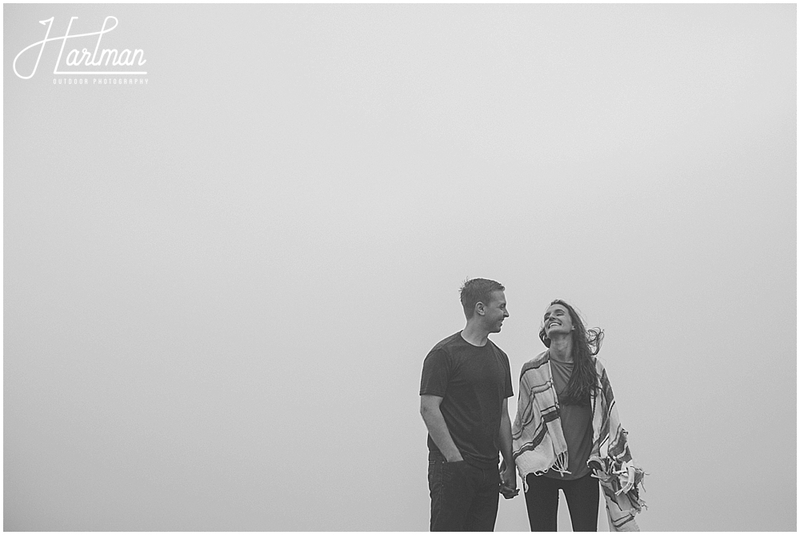 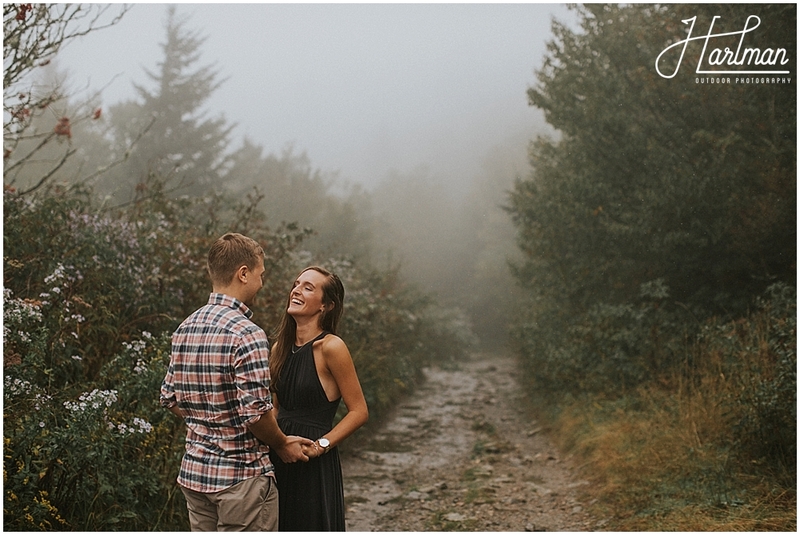 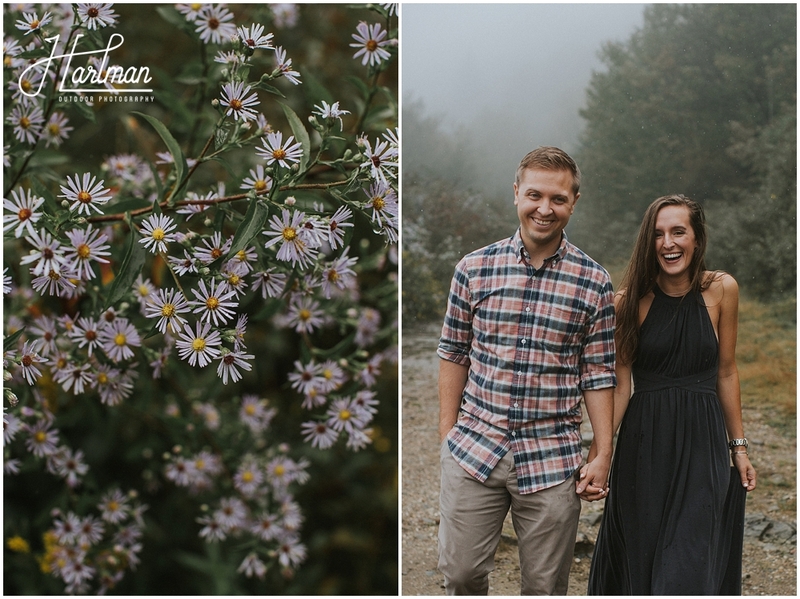 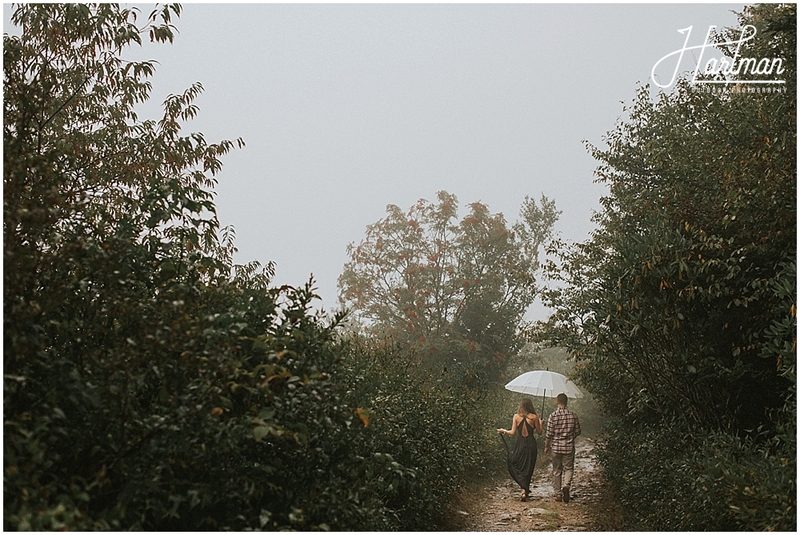 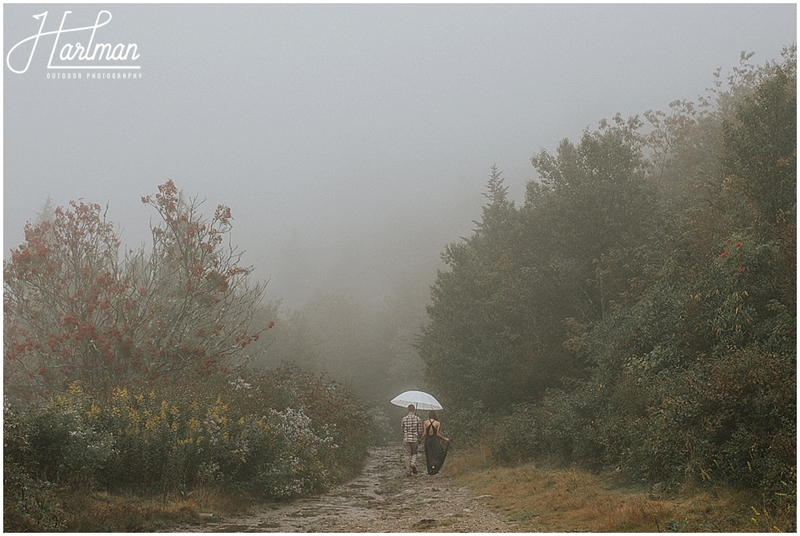 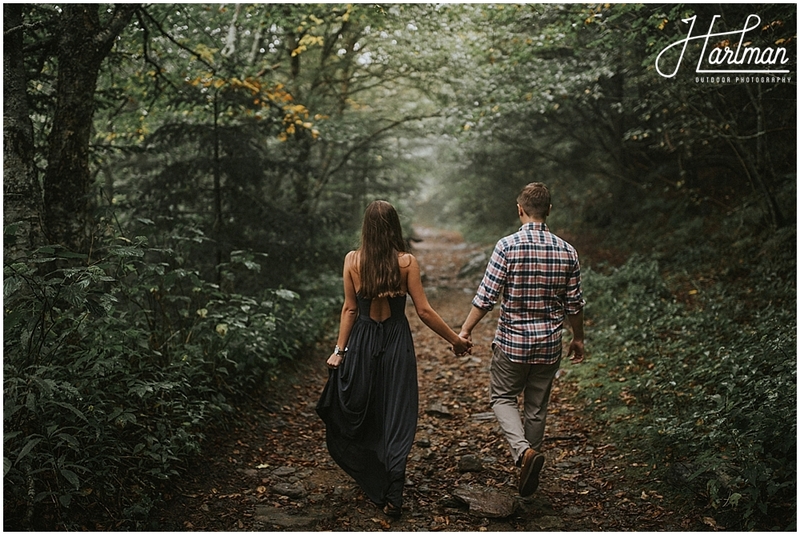 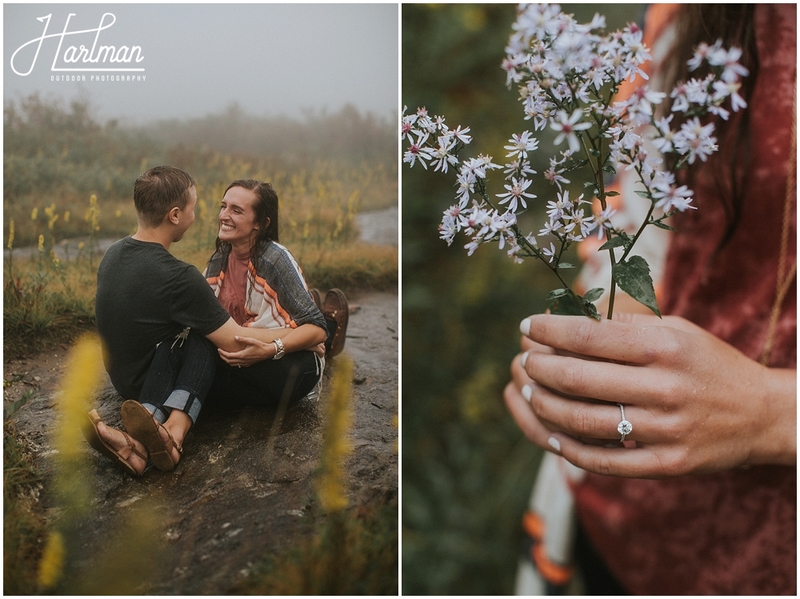 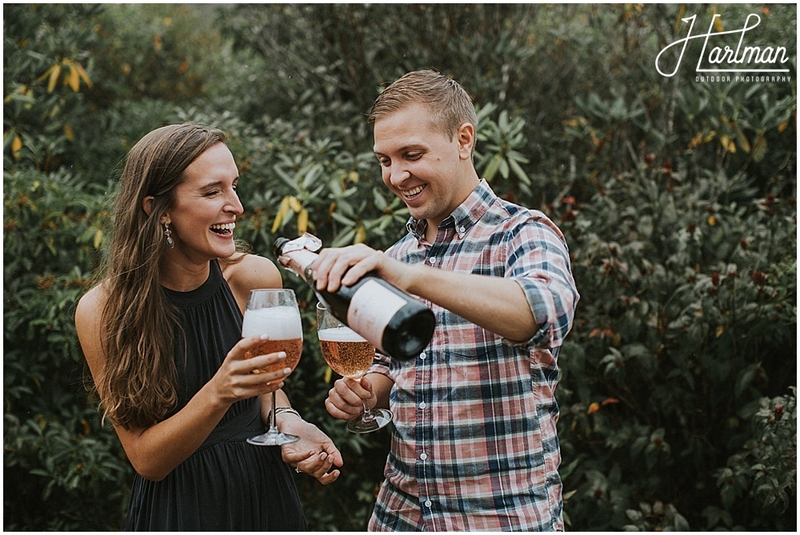 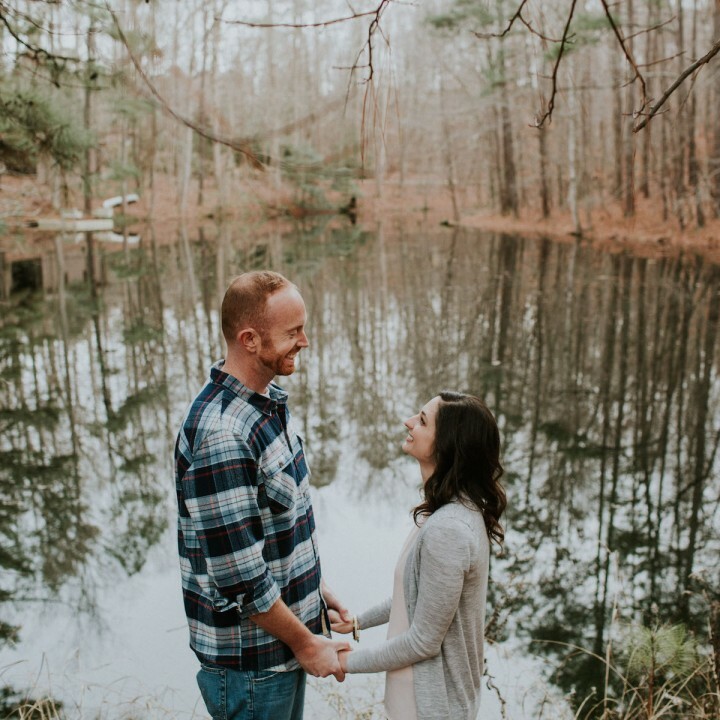 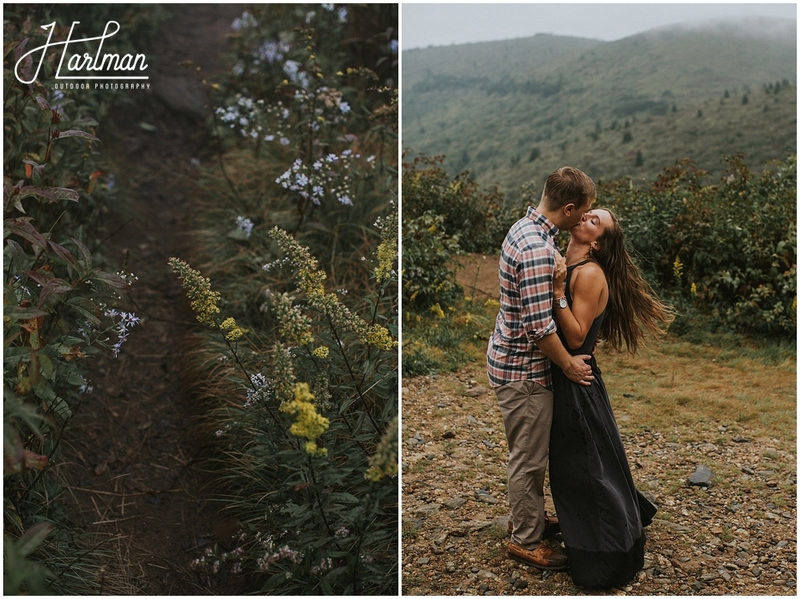 When figuring out where to do their Adventure Engagement session near Asheville, I told Christine and Jamie about Black Balsam Knob. 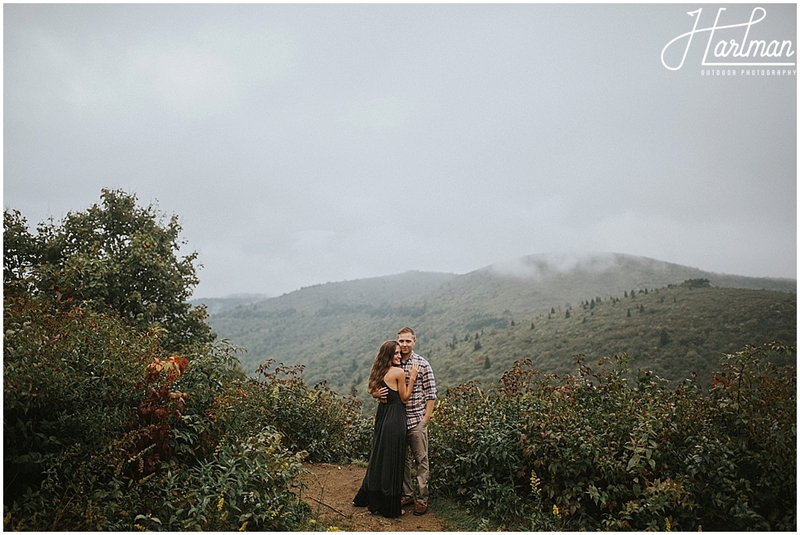 I told them about the amazing blue ridge views, the open meadow area, and the great sunsets. 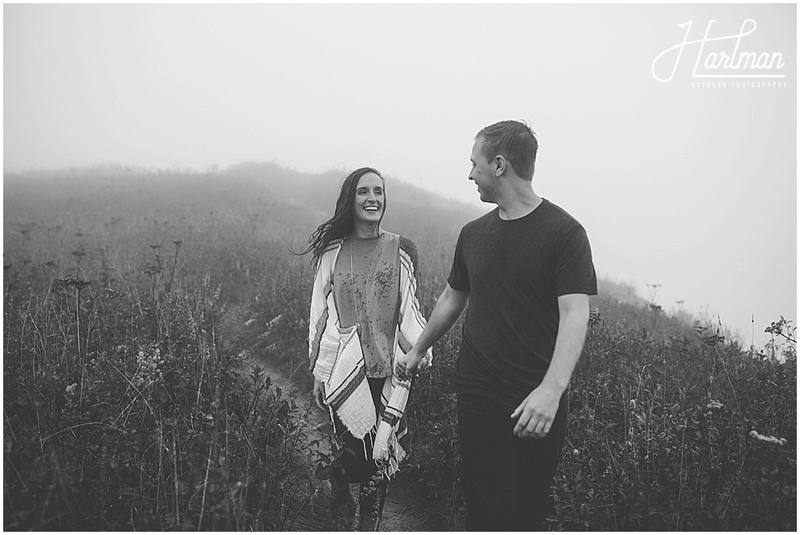 They agreed to meet us there and we were so excited. 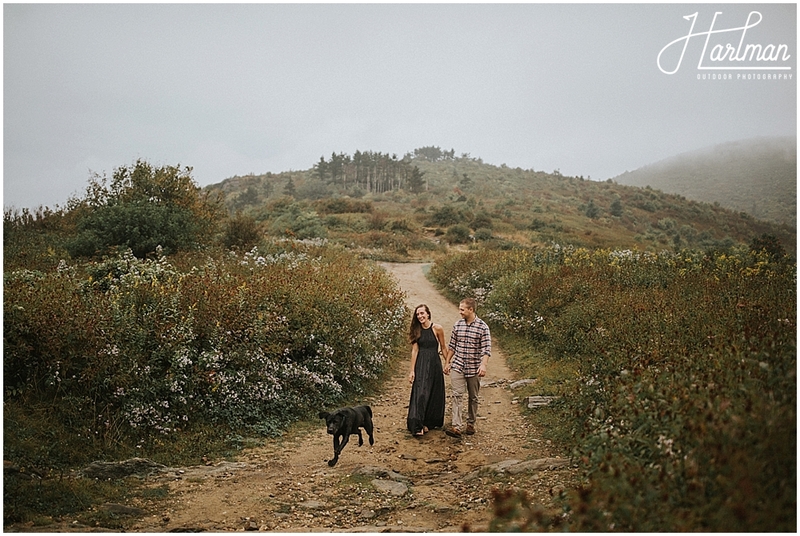 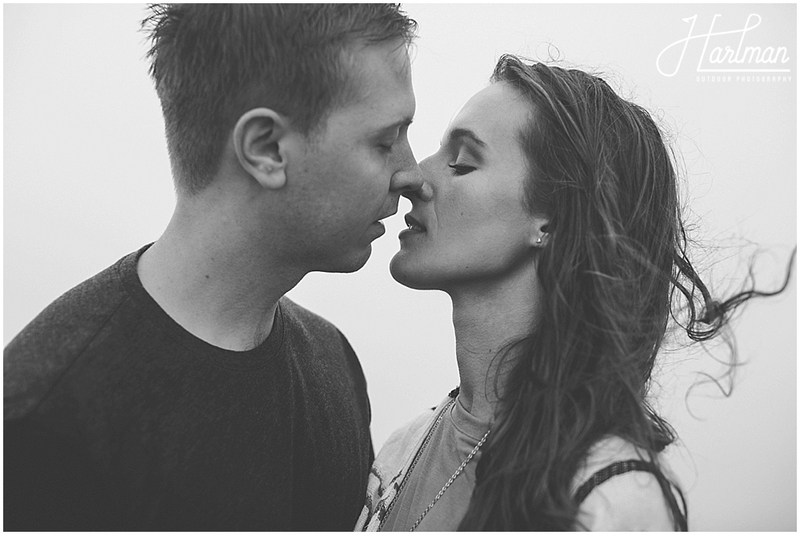 Then comes the day that we actually did their Adventure Engagement session. 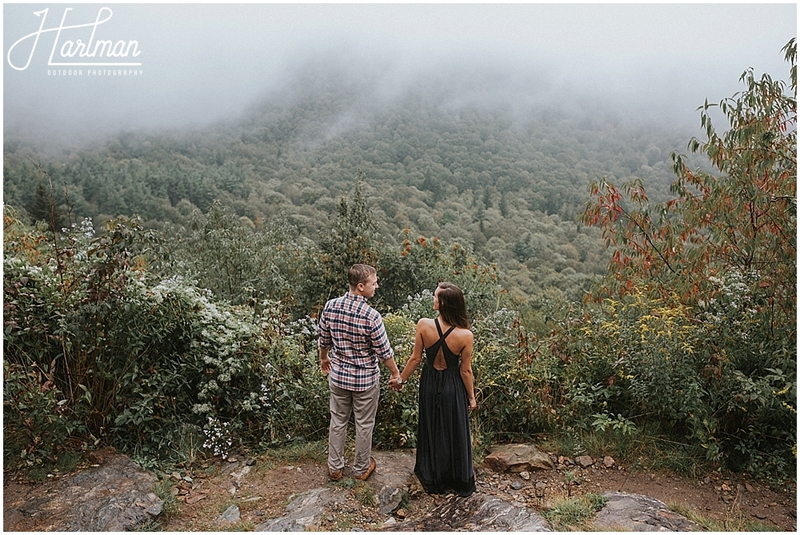 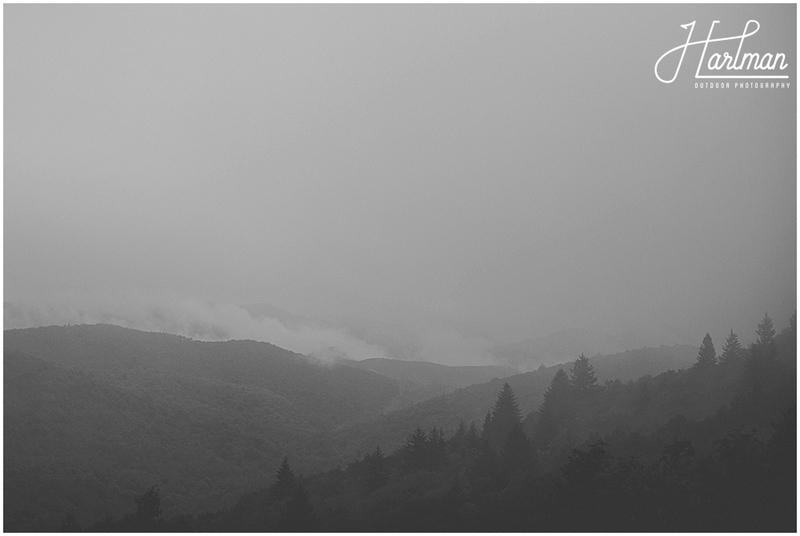 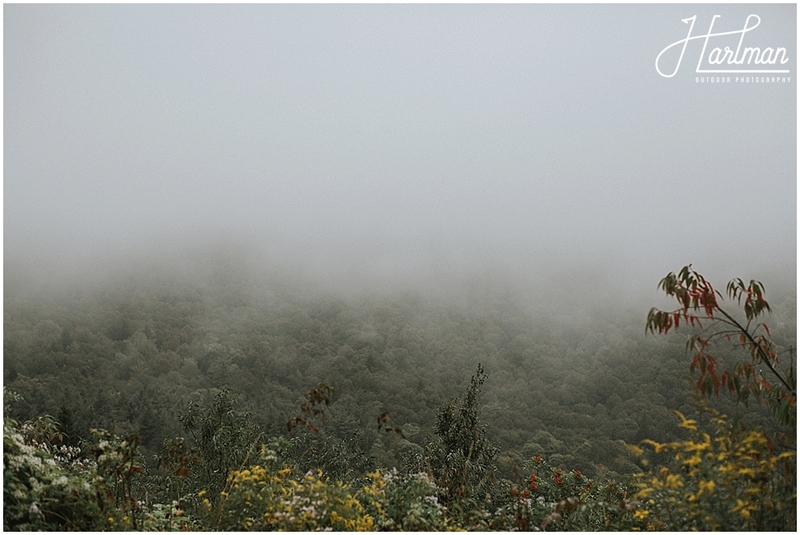 We drove along the Blue Ridge Parkway into Shining Rock Wilderness in a thick fog only to find that those Blue Ridge views I had raved about were completely hidden. 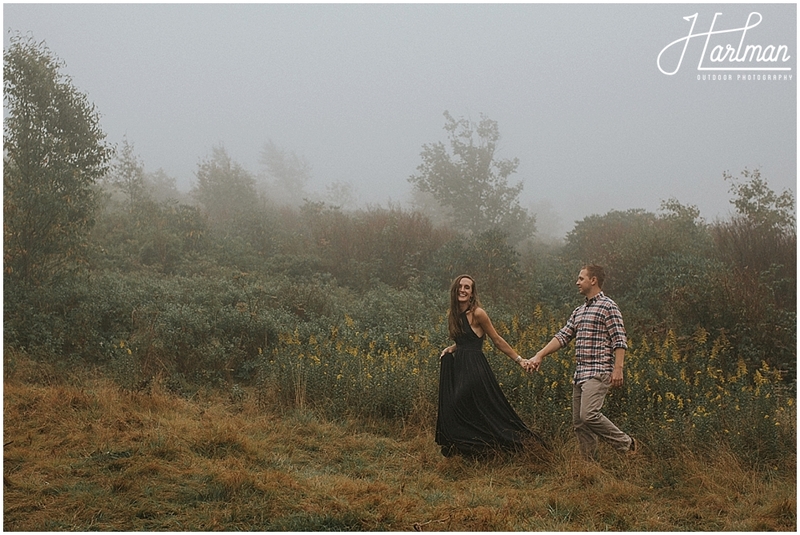 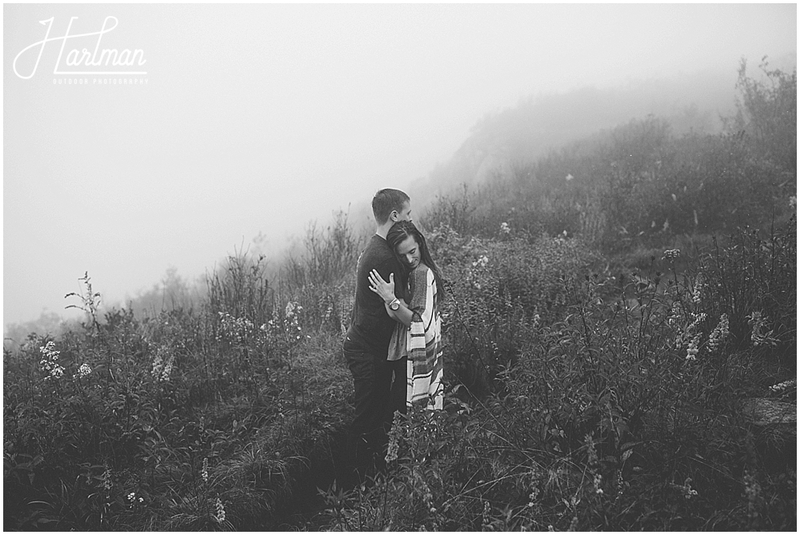 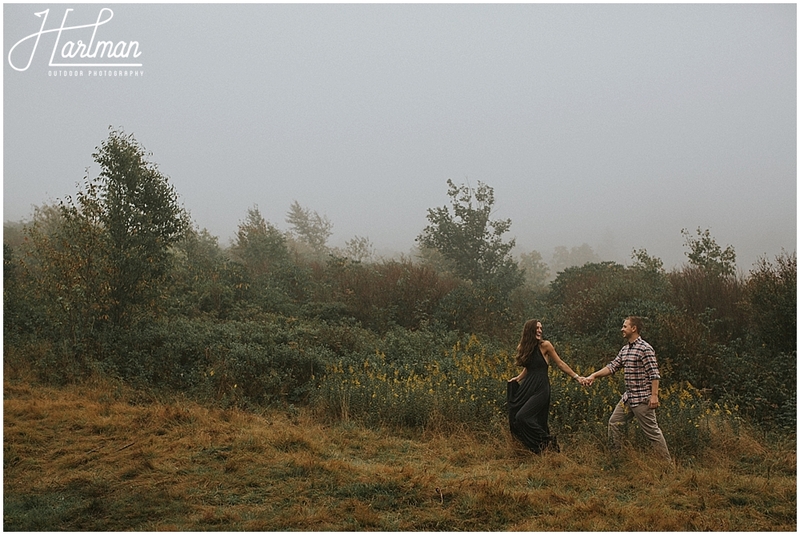 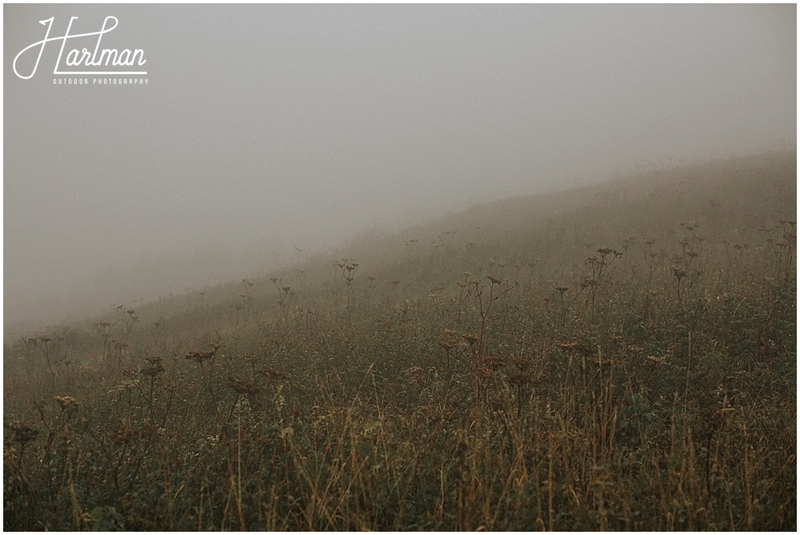 No matter though- we embraced the moody, misty landscape and actually ended up loving the images more with the fog than we would have if it was perfectly clear. 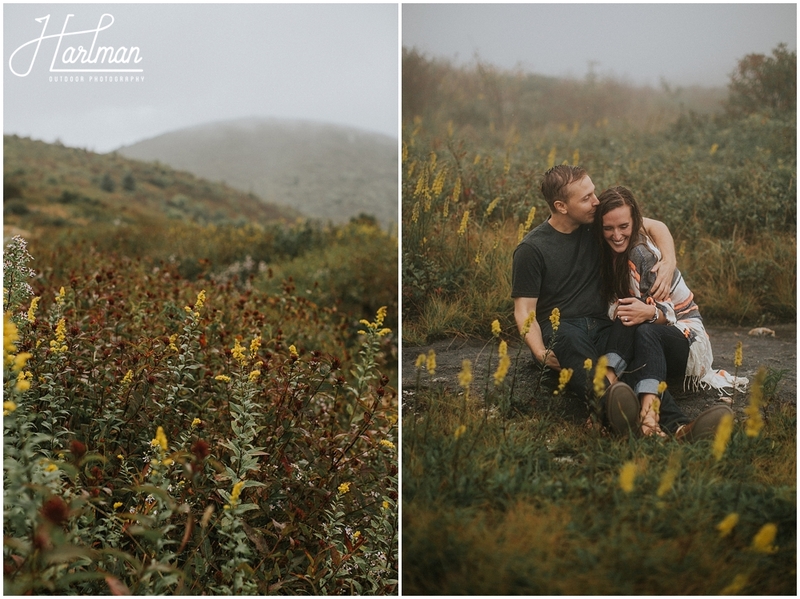 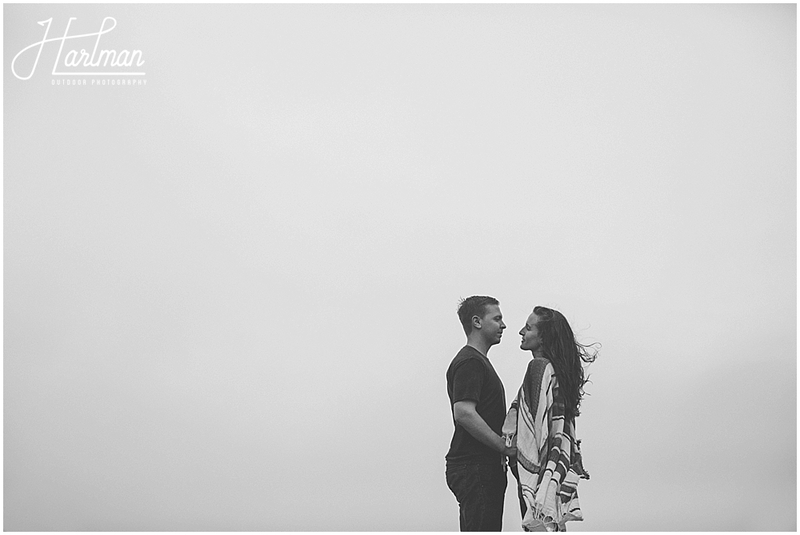 The clouds did clear long enough to give Christine and Jamie a glimpse of the surrounding landscapes, but the clouds moved back in just as quickly as they parted. 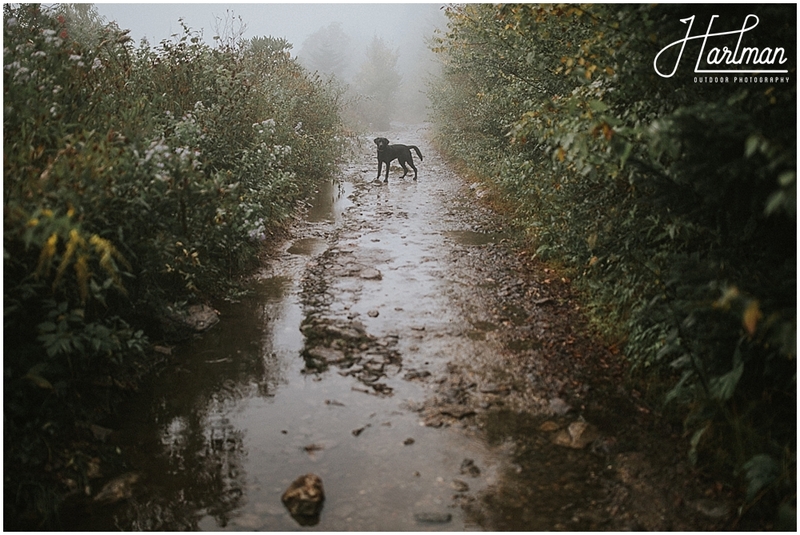 We hiked up the bald in that same thick fog we drove in with their sweet dog Timber and we all had a blast. 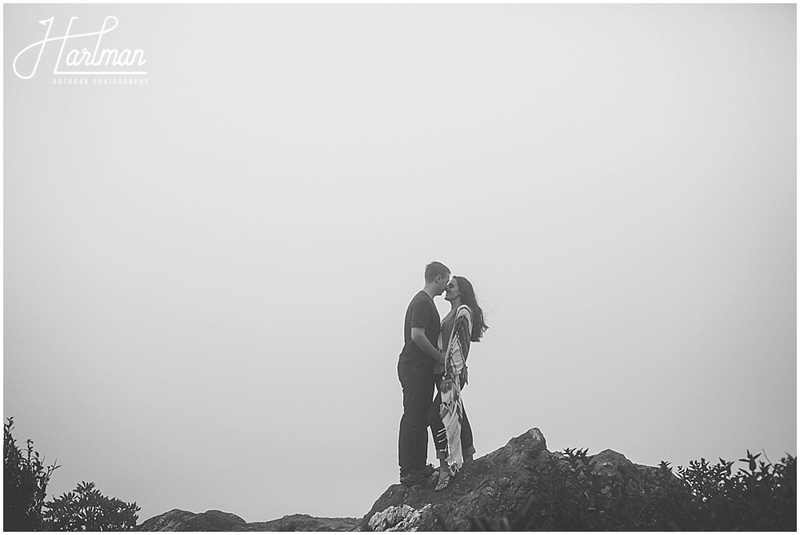 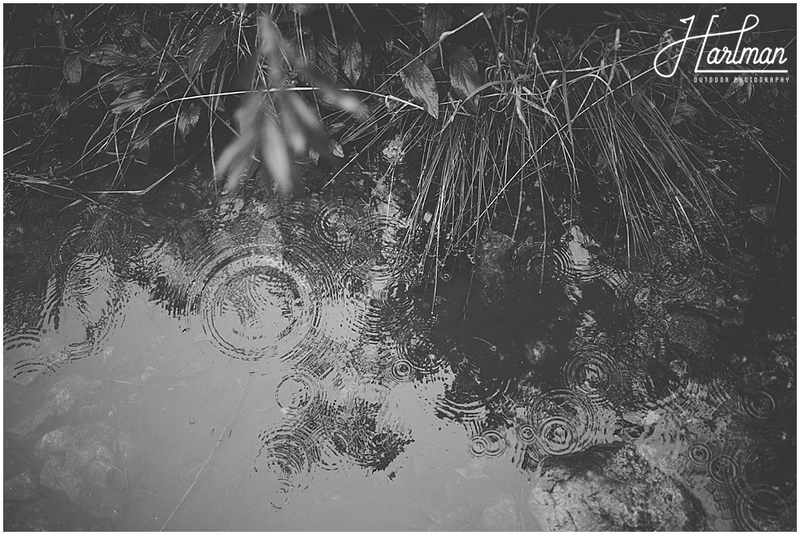 Thank you so much guys for embracing the wind, rain, and fog. 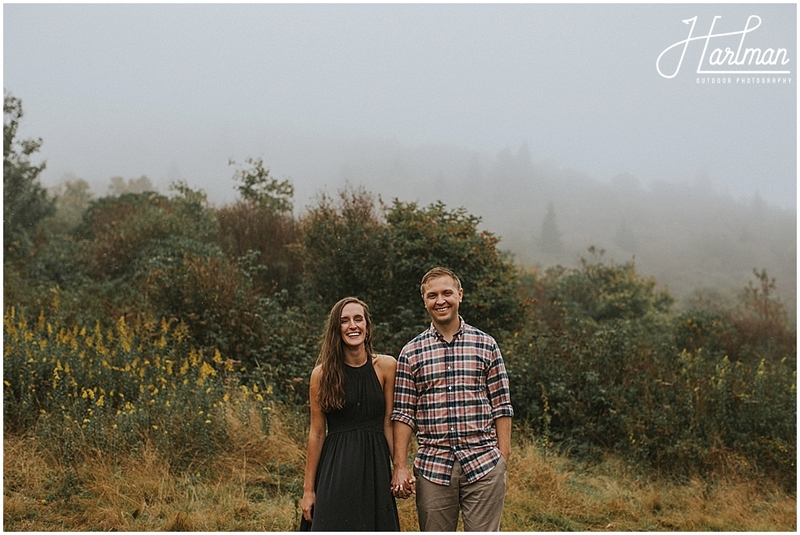 We are so happy to have clients with adventurous hearts!